With tours that pack 50,000-seat stadiums, the J-Pop band EXILE is one of the most popular bands on the planet. Founded as a six-man group in 1999 by Hiro Igarashi, now EXILE and its associated boy bands and singer-songwriters are platinum acts many times over, having sold more than twenty-five million records in Japan alone, and count Pharrell, A$AP Rocky, and Afrojack as collaborators. 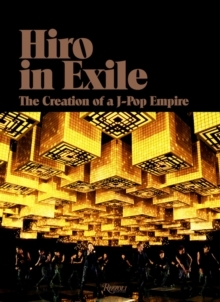 This lavishly illustrated book documents Hiro s empire, one of the most unique media and entertainment companies in Japan. Images of EXILE s innovative stadium tours, stage designs, and fashion photography will draw in Western readers, and offer a unique collectible for fans in Asia. The book emphasizes the engagement with fashion and its links to pop music, as it describes the rise of Hiro and EXILE as a force in streetwear with collaborations with NIGO(R), Mastermind, Adidas Originals, and Dr. Romanelli.